Serene, quite complex with beautiful grassy area and swimming pool. Impeccably maintained single Level home, well laid out floor plan with large living room and dining areas. 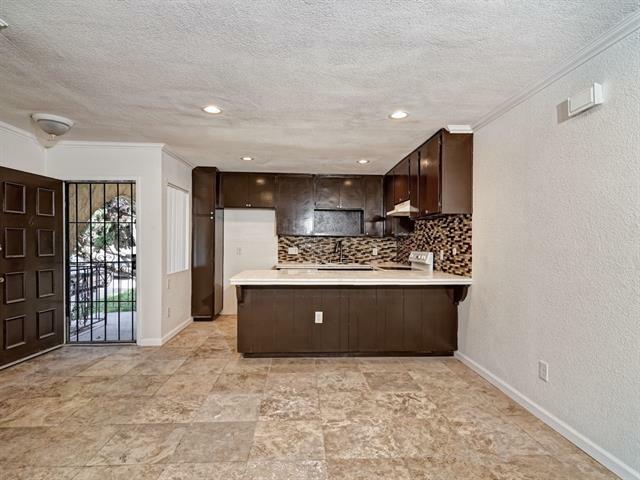 Vinyl Wood like flooring & Travertine tile flooring throughout. Full Size Laundry closet inside unit. Large walk-in closets in both bedrooms. Enclosed back patio. 2 Assigned Parking Spots! Great for a first-time home buyer or savvy investor.